If you’re looking to bring your latest idea to market or updating your website as part of a refresh, we will work with you every step of the way. We fully immerse ourselves in your business to help build a clear picture which will enable us to develop the right solution for your needs. On average 65-70% of users now access websites and content on the move. With that in mind, we develop all our websites from a mobile-first perspective. As part of our development process all of our websites are created responsively, so they'll look great on whatever device they're viewed on. Our design process right from ideation to completion is all about ensuring that we have the most optimum end-user experience at the forefront. Working with the latest web technologies we have experience of building all types of functionality into websites from e-commerce, booking systems and everything in between. All our websites are fully encrypted with HTTPS protocols. HTTPS is a key ranking signal that search engines use and give customers trust and confidence that your website is safe and secure. We know how important cashflow is to business owners and understand that the initial upfront payment may put people off from commissioning a new website or doing a refresh on their existing site. With this in mind we now offer flexible payment terms enabling you to spread the development cost of your website over the year. "Just wanted to give you some feedback for the work you’ve done for us so far at Apocalypse Laser Arena. We have been delighted with your help setting up our website and social media presence. You have been thorough and professional throughout the process so far. Your friendly attitude has made the process seamless and we really have enjoyed working with you. You’re innovative ideas have definitely got our business off to a great start, from designing our logo to doing the drone shot of our building. So in closing, a big well done and we would be happy to recommend you to anyone thinking of using your business.."
He is always on hand to help support and advise and really does go the extra mile and then some. Especially with the marketing shots which were an extra and rather pleasant surprise. “We approached agb online solutions to assist in the development of our website to promote the opening of our new fireplace showroom in Dunfermline. I can say I am absolutely delighted with the quality of the website and the ongoing support and maintenance provided by Alex. He was most attentive to the needs of the business and full of constructive suggestions. The finished product is amazing and you made the whole process so easy. AGB Online Solutions Ltd has done a fantastic job creating our new website for Naked Bathbombs. Our old site was dated and we need something more vibrant and modern. I know it wasn’t an easy task with all the hard work that had to go into it but we couldn’t be happier with the end result! Alex has been brilliant and was in contact with me every step of the process to ensure we were happy with everything. Its exactly what we were looking for and the service was excellent. Would highly recommend! "We had a vision of what we wanted the Comely Park Mews website to be and agb online solutions have really brought this to life. We've worked with Alex over the years and have always been really happy with the service received. There is alway plenty of ideas flowing on how we can showcase our completed projects in the best way and get the best out of our website. We also really like the perspective that is achieved from the aerial content that has been taken as it really shows off the work that we do and the value it adds to our customer's properties. "What a fantastic job Alex has done at creating my amazing website. I absolutely love it! Alex was always more than willing to offer advice and go above and beyond to make sure that the look and feel along with the content of the website was spot on, he researched my line of business and provided me with additional ideas to incorporate into my website ensuring I was 100% happy with the overall branding of my company as well as my online presence." "Our website was old and really needed to be updated. Alex really listened to what we wanted and achieved that and more. We wanted a glossy magazine look which was attractive on the eye and easy to use which we feel we’ve achieved. Attention to detail was clear from the start and it’s been a pleasure to work with Alex. We would highly recommend." "agb online solutions done an exceptional job in assisting Be Personnel’s redevelopment of our website and our transition between CRM systems. 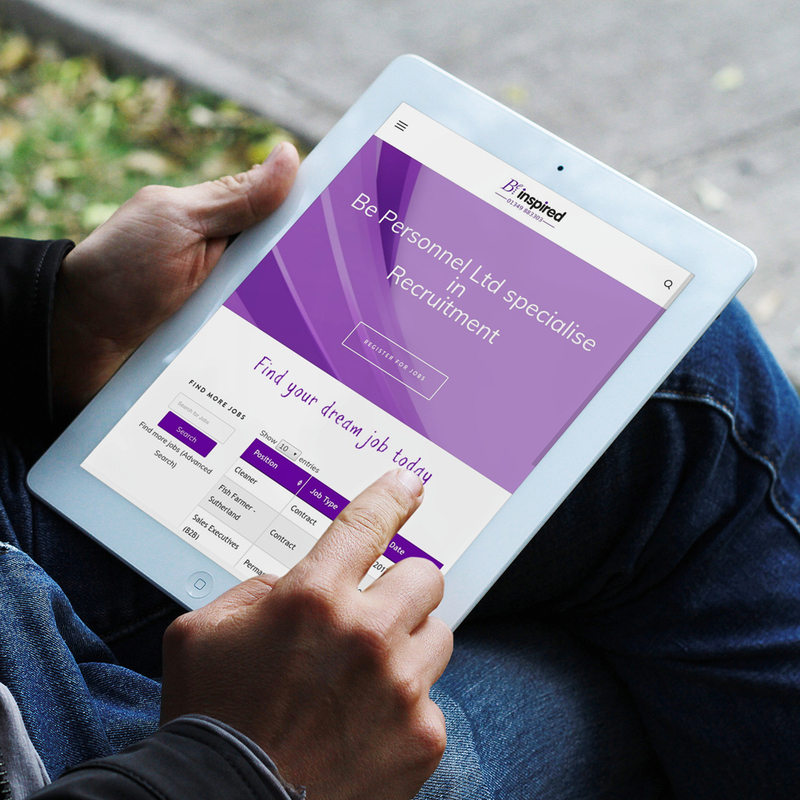 Our website has a far sleeker and user-friendly interface than previously and Alex has taken on board the feedback from Be Personnel team and carried out the requests to ensure our website meets the needs of our candidates and clients. We’d like to thank Alex for his great work and look forward to continue working with him on any projects and website redevelopment that is required in future.."
"AGB Online Solutions Ltd and Alex, absolutely "turns ideas into reality", Great Minds Coaching has come alive through Alex, he listened to what I wanted and discussed how that could be achieved. The support and end ingredients have exceeded my expectations, from photography, videoing, social media and marketing strategy, Alex helped me to bring it all to fruition. Alex you have been a great help and I could not have achieved all we have without you. It is also reassuring to know you continue to support me as Great Minds Grow going forward. Many Thanks Avril"
"I came to Alex a few months ago with an idea of a website I was looking to start. Alex has helped me with everything from branding, design, pictures and even social media. His advice was priceless. I had thought about trying to build a website myself but the image I had was furthered by Alex vision and understanding which helped grow my idea of a site into a reality. Anyone looking for web design or online help this is the gentleman you are looking for. My pipe dream has become a reality and I can only thank Alex for this. Thank you." What separates Alex from other organisations we have worked with is his flexibility, support, value for money and the fact he genuinely cares about our business and the contribution he is making to it through his work. He is a pleasure to work with. We would have no hesitation recommending Alex in the future." "I’ve worked with agb for a few years now and I’m always pleased with the end result. They give really good advice and direction on what we should be doing from an online perspective and we’ll continue to look forward working with them in the future." "We used Alex to build our website in 2009 and as a company we felt that this was the way forward and we have never looked back. Over the years Alex has continually updated our website making positive changes, providing a great back up service and moving with the times. The feedback that we receive from our customers has always been complimentary on how the website has been designed and easy to use. Thank you from A M Reid Plumbing & Heating Ltd."
"Having just worked with Alex on the development/launch of our new website, we are delighted with the finished product and would highly recommend AGB Online Solutions. Alex's enthusiasm for his business is spot on. Professional, very reliable/easy to work with. A great guy and am sure his business will go from strength to strength." "Alex recently developed and launched our website for our new play centre business Little World of Play. This wasn't a straight forward task as we required quite a complex integrated booking system, as well as the design and development of the website. We're very happy with the final product and it's working well for our customers. Alex is a pleasure to work with and goes above and beyond in order to fix things and get them right. I'd highly recommend AGB Online Solutions." "Alex has designed a website that meets our needs and also offers ongoing support and advice, which is invaluable to our small business, We were advised on all aspects of the website and the design of our new modernised logo. We met on a weekly basis and all action points were actioned in a timely manner. The communication throughout the project was excellent and Alex is very approachable and professional. We look forward to further developing our online marketing strategy with the help and support of Alex. We would highly recommend Alex." "Delighted with the service received from Alex from start to finish. Alex was involved right from the start of us coming up the website design, really getting to grips with the demands of the business and coming up with a concept we feel really reflects our ambitions as a business. I would happily recommend to friends." "Working with Alex was a great experience, he really helped bring to life what we wanted. First class throughout". Thanks a million, I'm absolutely delighted with the end result. I found agb to be really innovative, working efficiently and was really great value. I would highly recommend to family and friends. "Alex has done a fantastic job for us at Ardtower Caravan Park ! Alex had created a very innovative site for us, professional and perfect for all of our guests to visit and of course to book online. "Alex is extremely professional, a pleasure to work with on our new look website for our charity Autism Rocks ( Fife ). Everything was done just exactly as we requested. And his ideas were fantastic about layout etc. The feedback we have had about how our website looks has been extremely positive. It looks amazing. We would very highly recommend Alex."